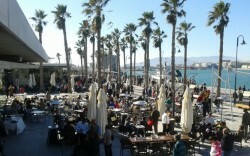 Muelle Uno is the new open air mall and dining place that opened its doors a few years ago in Malaga seaport, officially inaugurated in November 2011. Besides being a great place to stroll around during summer evenings or on sunny winter days, it is an outdoor mall with shops and also restaurants, bars and cafes. In addition there are often street markets and other leisure activities depending on the time of year. The promenade is called “palmeral de las sorpresas” , new and modern with beautiful architecture and surrounded by parks and water fountains. It is a place where the adults can enjoy having something on the terraces or walking around and also the little ones by playing in the parks. 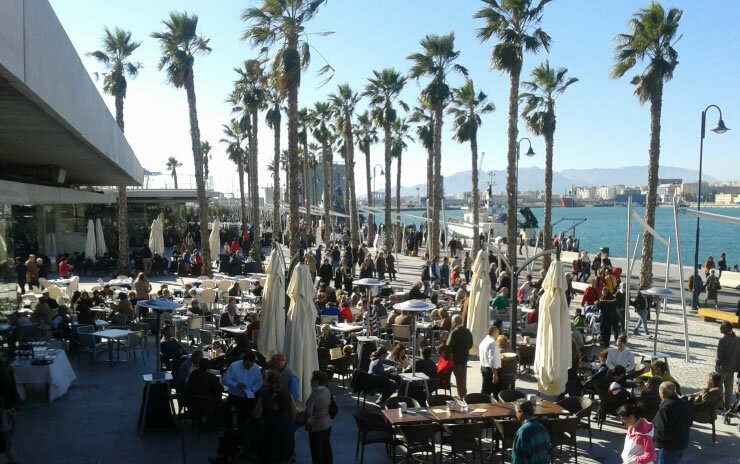 From Muelle Uno you can enjoy a gorgeous view of the city of Malaga, as you can see the cathedral, Castle Gibralfaro and the Alcazaba, which are the most interesting sightseeing points of the capital so you will definitely get a lovely postcard view of the seaport. 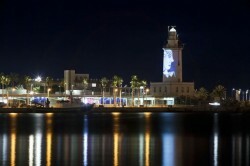 For those who love markets, the monthly “zoco” at Muelle Uno, which takes place on the second Sunday of every month, has nearly 100 stalls selling handmade crafts and jewellery, vintage and children’s clothing, home decorations, organic foods and locally-produced olive oil and meats. To enjoy a nice meal by the port with stunning views, there is plenty of choices in bars and restaurants with international cuisine. You can choose from Japanese to Italian or enjoy the typical Spanish tapas bars. 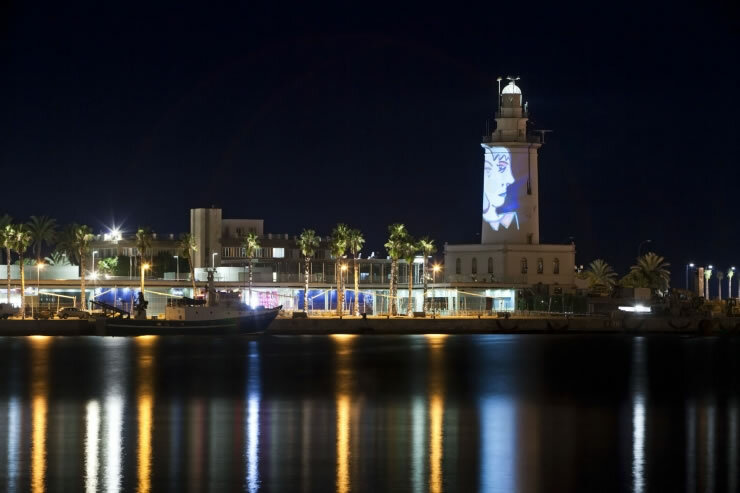 Other activities that can be done in Muelle Uno in Malaga are renting a bike to explore around, get a Segway tour or even a boat ride on the different companies that offer boat trips from where you can see Malaga from the sea. There is also a park for the children with a playground area, mini golf and other sports games.